Let’s Rodeo San Antonio! 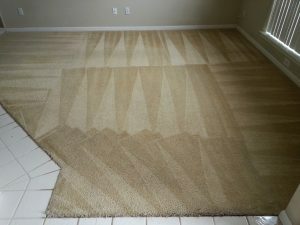 Beyer Carpet Cleaning San Antonio is here to round up those dirty carpets. Beyer Carpet Cleaning is going to tackle those tough stains and spots and make your carpets look like new. No need to call sheriff Beyer Carpet Cleaning has it all taken care of. From carpet cleaning to tile and grout cleaning to upholstery Beyer can take care of it all. Oh, and they’ll do it at low affordable price. There are no gimmicks, games, or tricks just hard working men ready to round up that dirt in your carpet. Carpet Cleaning San Antonio doesn’t have to be expensive or scary. Beyer Carpet Cleaning has those rough and tough technicians that can handle any round up job. Beyer Carpet Cleaning technicians are experienced and well trained to handle any kind of carpet, tile, or upholstery. Their technicians are fully equipped 24/7 so if you need additional work they can do it on the spot. San Antonio carpet cleaners can promise you the world but only Beyer Carpet Cleaning will actually deliver what they promise. Beyer offers a customer satisfaction guarantee on all their best service packages. If you’re not happy with the job you don’t have to pay until Beyer makes you happy with your carpet cleaning. Beyer Carpet Cleaning will do all that they can to give you the most professional and quality carpet cleaning for the best price. Tile and grout cleaning is an ugly job sometimes but Beyer Carpet Cleaning is equipped to handle such ugly messes. Beyer Carpet Cleaning will clean your tile and grout so well that it will look brand new again even if your tile hasn’t been cleaned in years! Their restoration tile and grout cleaning jobs are the best in town for yet again the best price in town. 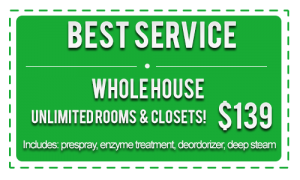 Need Beyer Carpet Cleaning San Antonio to round up that awful smell and those ugly stains in your sofas? They can do that to. Using a low pressure steam clean and solvents to clean and sanitizes and a deodorizer to kill that nasty smell Beyer Carpet Cleaning has it under control. Keep calm and steam on! Beyer Carpet Cleaning is here to tackle your big messes.